Post-rock is tricky. It is an “Indie” sound, augmented by the atmospheric elements of rock and other atypical sounds. It is music designed to strike an emotional chord more than it is compositions based on hooks and easy rhythms. Bands like Explosions in the Sky, This Will Destroy You, and Tortoise have perfected the craft of reaching into the well of their souls and creating music that resonates through the body and mind. North Carolina-based Old Solar can add itself to this echelon of musical brilliance. See is the second effort from this band. It is a project described by the band as “an intricately woven concept album of admiration, desire, and reflection on the human condition, the world we live in and the One who holds it all together.” To be certain, there is something spiritually uplifting within these compositions. The beginning of Spring marks the opening of this album and coincidentally the season dawning during this review. The band’s grandiose sound strikes an emotional chord from the outset, with the melody tugging at the heartstrings while the rhythm hits with repeated heavy crescendos time and time again. The music is grandiose, but not overbearing. There is nothing complicated about the compositions per se, yet their intricacies make it possible for the listener to smile and cry at almost the same time. The band does a marvelous job of using space, nicely layered guitars, and lovely background soundscapes. 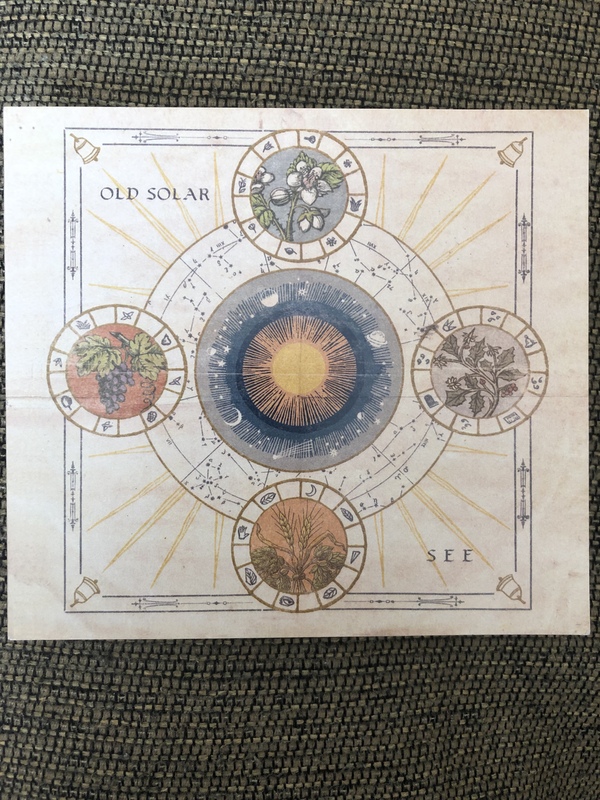 Old Solar is a musical cousin to Australia’s We Lost the Sea to the point where it wouldn’t be surprising to learn the two bands had heard of one another. The band’s music elicits beautiful personal visuals. One can almost see the sun rising over the mountains during “Spring Equinox,” while the dark melody behind “Winter Solstice” is positively haunting. Travis Brooks and Evan King do a marvelous job of carrying the melody to tender and sometimes near-metallic spaces, while William Baker and Joshua Gardner hold down the music’s supportive rhythmic elements perfectly. This is an album not to be missed. Check out my book, I Can’t Be the Only One Hearing This: A Lifetime of Music Through Eclectic Ears. It’s available from Amazon, Barnes and Noble, and other fine book dealers. Yes, very pleasant foreground/background music and well worth a few words in these blog pages.